1) Track spending more closely. I started doing this back in September 2010 because 1) I get paid a less-than-minimum-wage stipend each month for doing full-time national service and 2) I wasn’t sure where most of my money was spent even when I had higher incomes. Like many, I’m sure, I get frustrated when I’m left wondering where my last paycheck went. My money tracking experiment has been a success so far. I found a great budget template on GoogleDocs (I use the “Personal Monthly Budget” with a few modifications). Using GoogleDocs has allowed me to make updates to the spreadsheet at home, work, or anywhere with internet, so there’s really never an excuse for not entering my latest spending. Since I’ve aggregated several months of spending data now, I’m more easily able to create a budget for the following month. While I’m excited about the progress so far, I still think I can do better, partially due to resolution #2. 2011 so far: My tracking is going well. I’m still using GoogleDocs, and I would still encourage anyone else to do so. I may not be capturing 100% of spending, but I’m satisfied with how I’m doing. 2) Use credit wisely. 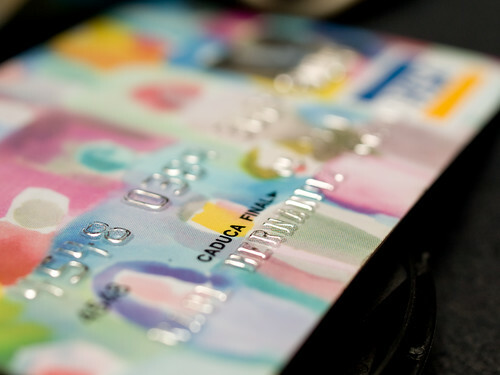 I think credit cards can be a huge convenience while providing protection and rewards, among other benefits. However, credit cards are only make sense financially if used properly. This means avoiding finance charges and late fees. While I’ve carried balances on my credit card before, I’ve vowed never to let that happen again. I wasn’t wildly irresponsible with credit cards in 2010, but I would like to keep better track on my credit balances as I move through the month. I’m diligent about checking my recent credit activity online (I do this a few times a week), but sometimes charges don’t show up for several days. By the time I’ve realized or remembered purchases that I’ve made (I’m a bit forgetful), I may have already made additional purchases. This situation is most responsible for der ailing my monthly budget, so I’d like to be sure to stay on top of this and keep my monthly budget spreadsheet updated. 2011 so far: I’m doing great with this so far. I’ve also decided to periodically send payments to my credit card in order to prevent large balances at the end of each billing period. 3) Increase cash flow. As J.D. at Get Rich Slowly (one of my favorite blogs to read) points out, cash flow only increases by either increasing what you earn or decreasing what you spend. I can very comfortably say that my spending has basically bottomed out, so I have to increase my earnings. There are various ways to do this, but I am somewhat limited by my current position in national service (for starters, I’m not allowed to get a second job). One of the steps to increasing cash flow I have taken is to start this blog. I’m not entirely sure where this blog will lead yet, but I’ve set my sights high. Once my national service ends in August 2011, I’ll have a much easier time increasing my income. I’m not entirely sure where I’ll end up yet in terms of jobs or careers, but will continue this business and blog for the long term. 2011 so far: I started out the year with a bang by selling a few things on eBay, netting me a few hundred dollars. I also sold a gift card on Plastic Jungle that I knew I wouldn’t use. I probably won’t be able to keep up this level of cash inflow, but I’m working on other sources, too. 4) Start an emergency fund. So I can’t afford to save a full-fledged emergency fund of 3-6 months right now, but I’ve been recently convinced that starting any type of an emergency fund is important. While I’ve been fortunate enough not to have any major emergencies so far in my life, I realize crises are inevitable and often expensive. One of the main sources of money-related stress for me (and I’m assuming you, too) is unexpected costs like car repairs and medical expenses. Based on the advice of others, creating an emergency fund of any size is the best way to avert panic in the future. 5) Develop my online business. This is my most important goal for the year. Doing this will have the greatest impact on my finances and on my life. I’m looking forward to a great year at Money Spruce, and I hope that you’ll be here to join me! Those are my main financial goals, in short. I’ll be sure to keep many more smaller and informal financial objectives in place, too (like bringing a lunch to work each day instead of eating out). I’ll check in with progress on these goals from time to time in future posts. Do you have similar or differing goals of your own? Add your comments below.